For those of you that have been on iOS 6 Betas and getting over the air updates automatically through you Settings app, you will need to manually install iOS 6 GM (Golden Master). You can see my instructions here. Some of the new features that came with the Golden Master were not revealed or available before. Here’s what we and others on the web have found. Let us know in the comments if you notice others. 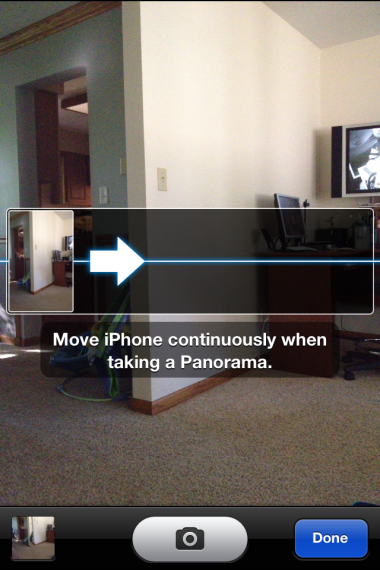 Panorama Feature added to stock Camera app. A new feature was added to the stock Camera app called Panorama. It allows you to take big, wide shots by rotating your camera across the area. I found out you can tap on the right side to start the sweep from there. You can also sweep down to up or up to down. Here’s some screenshots and photos I’ve taken. 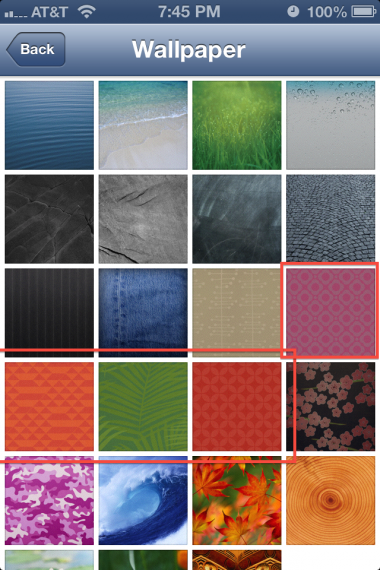 Someone in a forum from macrumors.com noticed 4 new wallpapers. Here’s a shot of them in the Settings app. 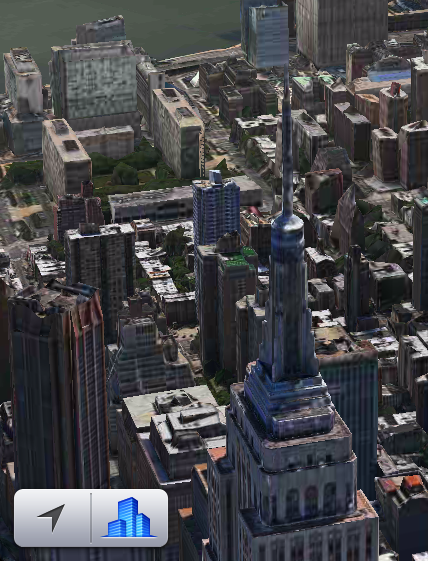 Not a major thing but the button in Maps that used to say 3D now is an image of 3D buildings when in satellite view. Apple introduced a full screen button for Safari at the iPhone 5 Keynote. It only works in landscape mode but it would be nice if it worked in portrait too. The button is in the bottom right corner. Just tap and all the toolbars go away. The fullscreen button stays, but is a little transparent when in full-screen mode. 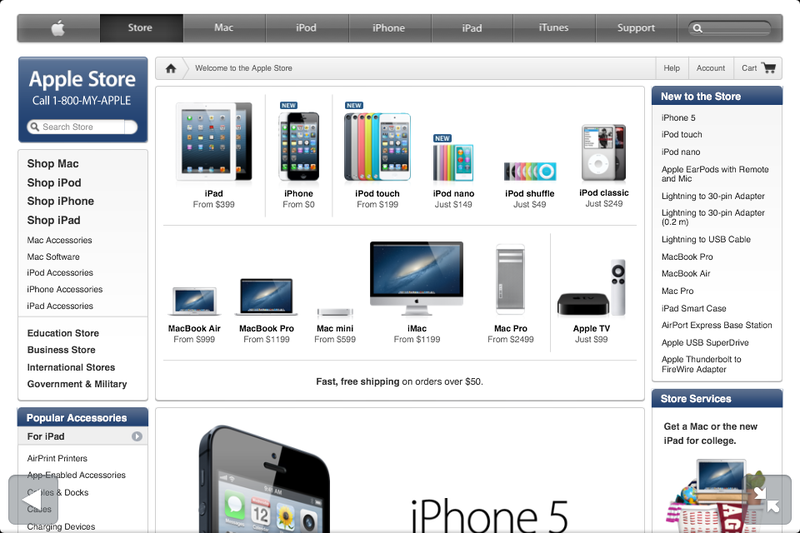 There’s also a transparent forward and back button in the bottom left corner. Here’s a side by side example. Feel free to let us know about any others you find in the comments! Looking forward to the shared photostreams. Can’t let you how many times family have said oh, send me that picture. 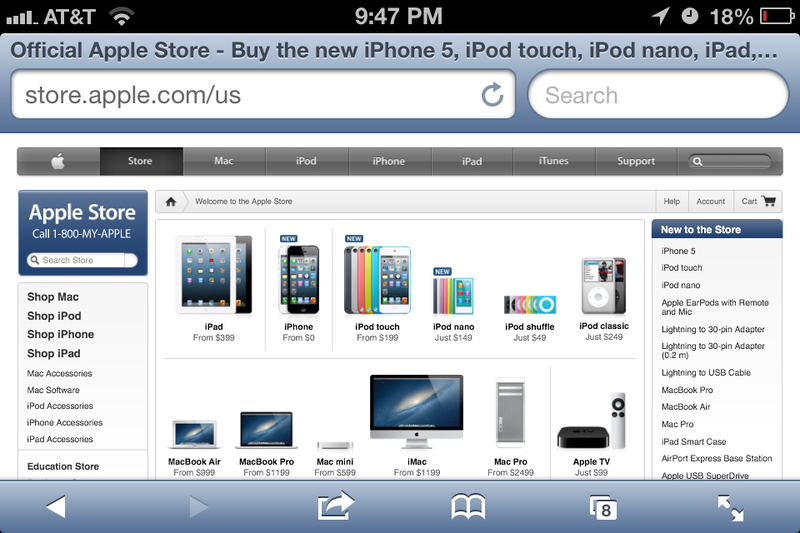 Nice simple solution, as you would expect from Apple. PS Anyonegot a best guess for the time of release of iOS 6 today, GMT? ?